It's a funny skit for anyone who grew up on computers and is familiar with the font choices that have come as standard for years. Like a lot of comedy however, there might be a fair number of people who don't get the joke. 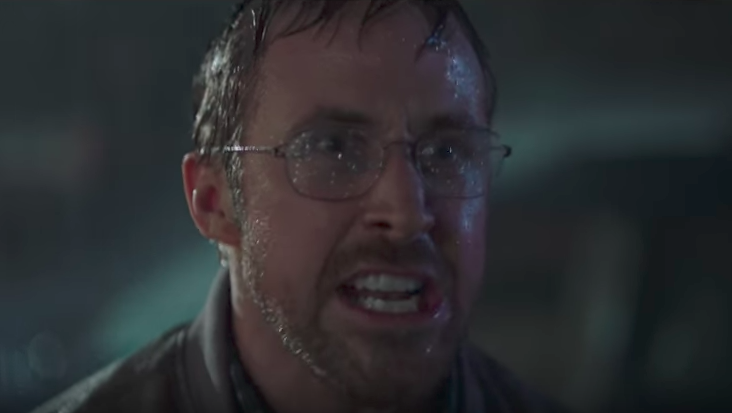 People who, for whatever reason, don't have any familiarity with the papyrus font, or don't understand why the papyrus font would have the haunting, comedic effect that it does on Gosling in the skit. Jay wagered that there might be a large number of lead pastors in this camp, who, through no fault of their own, were left alienated by the humor. If you are in this camp, keep reading until the end. I'll tell you why the joke is funny. But the issue here isn't actually about humor. It's about design. To me good design is equivocal to doing good work. It's that simple. To be a good designer is to be someone that is committed to doing the best work possible for whatever the job may be. One of the assertions in the SNL skit is that the designer of the Avatar logo purposefully made a bad/lazy design choice. A commitment to good design is a commitment to your relationship with your end user. Whether it's graphic design, web design, UX design, motion graphic design, or fashion design, the goal is to connect with the end user in the best way possible. As a church, honoring God with your best should always be the goal. What is popular in the design world is constantly changing, and for some pastors that may be frustrating. But staying up to date on changing design best practices and schools of thought is akin to being committed to stewarding your church resources well. Design shouldn't be a flippant afterthought. It's oftentimes your first impression to the people that your church is trying to reach. We all want to reach people with the Gospel. So, a commitment to good design is important. Here are three broad steps that you can take to being committing to good design. Before your church can start rocking some cutting edge design choices, the easiest thing to do is to start rocking some cutting edge taste in design. Ira Glass, the creative founder of This American Life, has a famous essay on creativity, which starts from the thought that what unites all creatives is their good taste. "All of us who do creative work, we get into it because we have good taste. But there is this gap. For the first couple years you make stuff, it’s just not that good. It’s trying to be good, it has potential, but it’s not. But your taste, the thing that got you into the game, is still killer." Glass goes on to encourage creatives to keep pursuing their craft until what they are producing matches up with their taste. Your church's taste in design is like your inner litmus test. Is what we are doing well-designed enough? Are we honoring God with our best? Your taste will tell you. Once you start to develop your design taste, you should start cataloguing your influences. You can do this with a secret Pinterest Board, or with an old school cork board. Just clip or print your design influences, pin them up, and you're on your way to developing your own aesthetic. The one thing to be wary of here is falling into the trap of becoming a direct derivation of another church. So, be honest with yourself, and think about your own cultural context. What works for one church may not work for your church. It can also be helpful to look for design inspiration outside of the church. Look at places like Behance, AIGA's Design Archives, and Dribble. A common mistake that I see from many pastors is simply biting off more than they can chew. It's great to desire improvement and excellence, but to execute on it requires a more systematic approach. To start on the path towards better design, start with something small. What is a manageable design project to take on first? Re-designing your entire stage or worship center? Probably not. Re-designing your Visitor Contact Card is a much better first project. So, take your small project, your design influences, and execute on something that your newly found design taste will like. It's a process, and it's a commitment. But good design can pay dividends in the long run. So, why is "Papyrus" funny? So, if you are still wondering about that SNL skit, here you go. The reason that Papyrus is funny is this: the papyrus font is cheap, it's basic, it's so familiar that it's cheesy, and it's absurd to think that a movie that grossed a billion dollars at the box office wouldn't spend more money on coming up with a unique title font. It's also ridiculous to think that it would drive Gosling's character to the point of madness. But, the truth in the humor is that whether in a corny skit or in real life, bad design drives people crazy. Want to know just how many people are googling different topics? 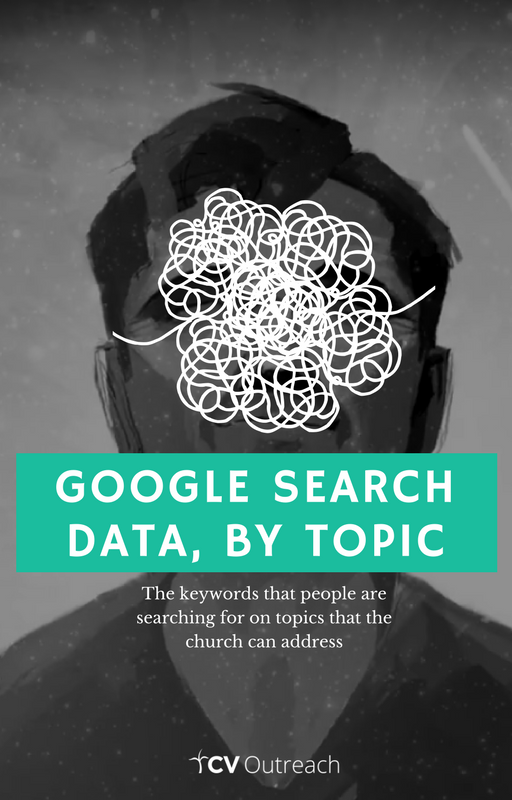 Download this spreadsheet we created with the monthly google searches for a variety of applicable church topics.